Winner of the Academics' Choice Brain Toy and Tillywig Best Creative Fun awards, this STEM discovery kit is child-directed and open-ended. 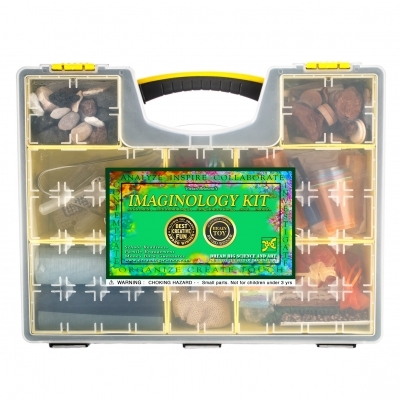 Over 200 pieces support exciting experiments in a durable, easy to carry case. Fun concept for the imagination. It is a great way for the kids to use their imagination and come up with ideas on how to use different things in the environment. This product seems awesome. I love how gender neutral the packaging is. Looks like a perfect set for school or home.